What’s this? 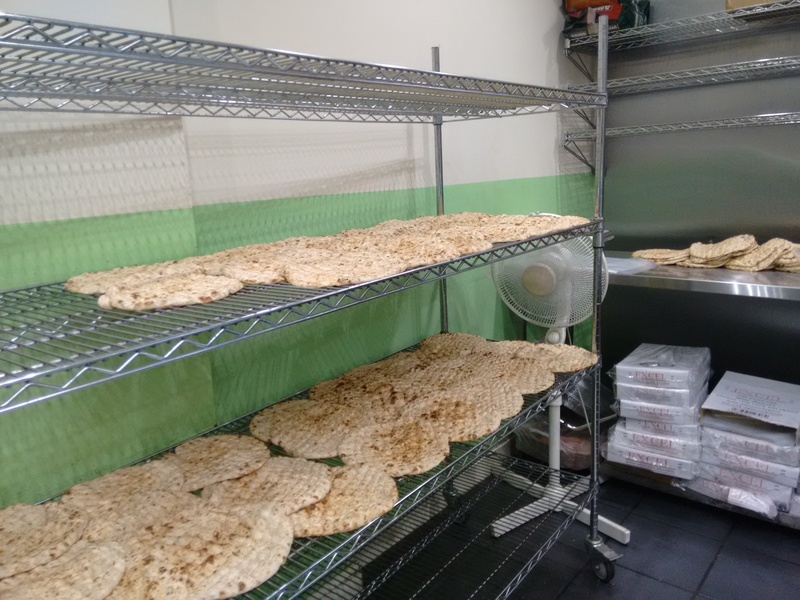 A bakery selling ONLY naan breads, fresh from the oven? Oh, yes please. I can’t think of anything better, actually, than a warm, pillowy naan to scoop up a fiery curry sauce. The ones you get in the supermarket are so hard and bland, so to find this place doing fresh ones is genuinely so exciting, you have to hold me back! As it’s in Tooting (176 Upper Tooting Road) I naturally assumed it was an Indian naan shop, given the high density of Indian restaurants in the area. Shows what I know. It’s actually an Iraqi-style bakery, and apparently you get these on all the street corners over there. There are hardly any bakeries like this in the UK, and these guys make their naans fresh each day. They taste divine – a bit smoky from the oven and super soft. Uh-huh (goes into bread trance). If you fancy, you can get toppings on the breads such as spinach, chicken, chilli cheese, coconut or even Nutella. Don’t get me started! In fact, next time, I might try a za’atar one, which is a poky blend of herbs and sesame seeds with lemony sumac. Instead, I came away with four bags of plain ones and they were so cheap – 12 naans for a measly £4! I have a lot of curry to cook over the Christmas period, you see. I’ve just chucked the bags of naans in the freezer and they keep really well until you need them. 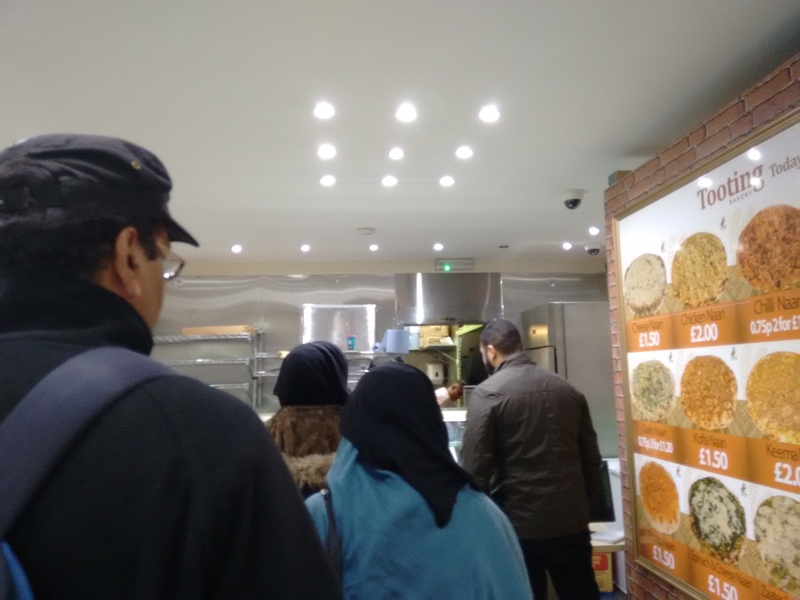 Get thee to this ‘naanerie’ immediately – it was like ‘Naania’ in there…(I’ll get my coat in a minute, cough). 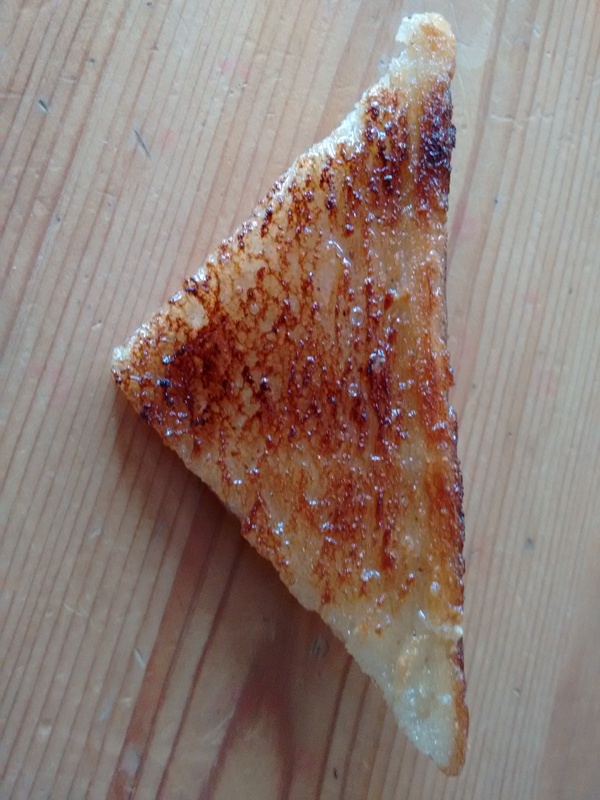 It’s actually a real triangle of toast immersed in resin or whatever you make brooches from. It is made by an acquaintance of P’s called Sarah Seahorse, and she lives in Melbourne and makes crazy hats for raves, decorated with dinosaur worlds or biscuits. 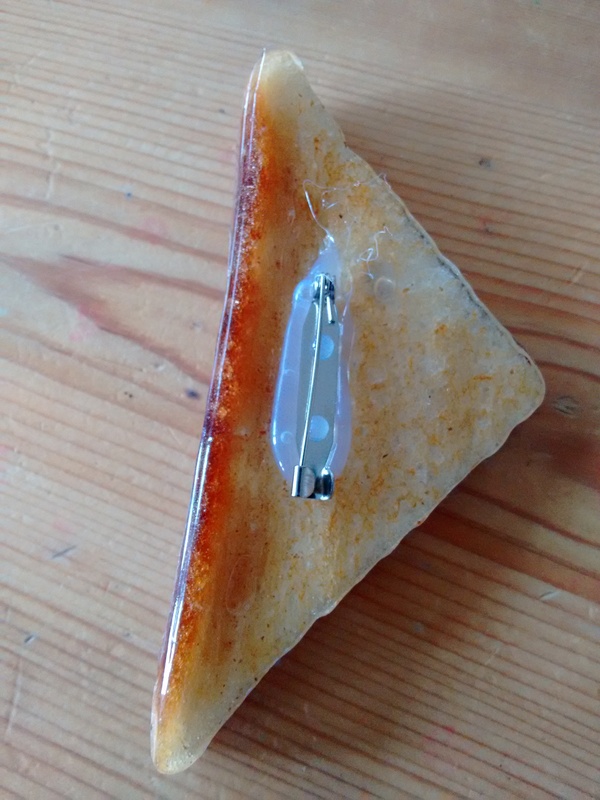 You should check out her Etsy page, it’s bonkers and wonderful. Get a biscuit brooch or something. I’ll get my coat and wish you MERRY CHRISTMAS!